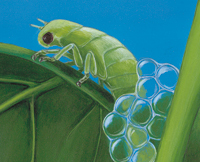 From pirate bugs to spittlebugs to lovely Luna moths, children will love learning about the world’s insects in Multiply on the Fly! Following in the footsteps of What’s New at the Zoo? and What’s the Difference, this rhythmic book teaches multiplication in a way that will make children “bug” you for more. 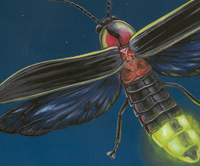 Teeming with fun facts, readers will multiply with a variety of insects, including daring dragonflies, hungry honeybees, and stealthy walking sticks. 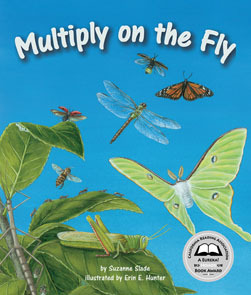 The “For Creative Minds” section in the back of the book keeps the fun rolling with facts about the insect life cycle, matching insect activities, and multiplication guides to make anyone a multiplication master. This nonfiction picture book with a cuddle factor and rhyming text includes a 6-page For Creative Minds section in the back of the book and a 41-page cross-curricular Teaching Activity Guide online. 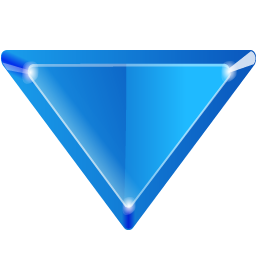 Multiply on the Fly is vetted by experts and designed to encourage parental engagement. Its extensive back matter helps teachers with time-saving lesson ideas, provides extensions for science, math, and social studies units, and uses inquiry-based learning to help build critical thinking skills in young readers. The Spanish translation supports ELL and dual-language programs. The interactive ebook reads aloud in both English and Spanish with word highlighting and audio speed control to promote oral language skills, fluency, pronunciation, text engagement, and reading comprehension. 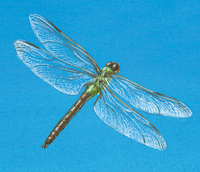 Vetters: Thanks to the following people for verifying the accuracy of the insect information in this book: Dr. John Stoffolano, Professor, Department of Plant, Soil & Insect Sciences, University of Massachusetts, and Developer of the University's online Bug Net; and Faith Deering, Museum Educator, Historic Deerfield Museum. And thanks to Dr. Astrida Cirulis, Professor of Mathematics at Concordia University Chicago, and President of Illinois Mathematics Teacher Educators for reviewing the math-related information in the book.